MSPs have repeatedly called for the service to be returned to normal, as hundreds of young patients and their families have faced ambulance transfers to hospital in Edinburgh for treatment. Health Secretary Jeane Freeman is to update MSPs on a children’s ward which has been closed to some patients for more than a year. The paediatric ward at St John’s Hospital in Livingston, West Lothian, has been closed to out-of-hours inpatients since July 2017 due to staff shortages. Ms Freeman is due to make a parliamentary statement on the matter on Thursday afternoon. The issue was raised at First Minister’s Questions last week when SNP MSP Angela Constance outlined the case of a family from Breich, West Lothian, who faced a return hospital journey of more than five hours due to the closure. 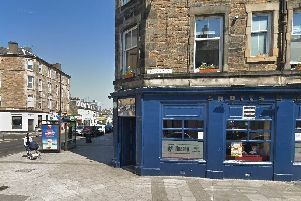 She said they waited three hours for an ambulance transfer from St John’s to the Royal Hospital for Sick Children in Edinburgh and after being discharged at 11pm had to walk into town to get a taxi home, arriving back at 1.30am. She called for the round-the-clock service to be reinstated. Nicola Sturgeon told her NHS Lothian’s acting chief executive has ensured all efforts are being made to recruit staff to fully reopen the ward. She said the closure is for “patient safety” and both the health board and the Government are working to reinstate the inpatient unit as quickly as possible.